After years of globe-trotting, Jonny Shultz comes home to Q6. 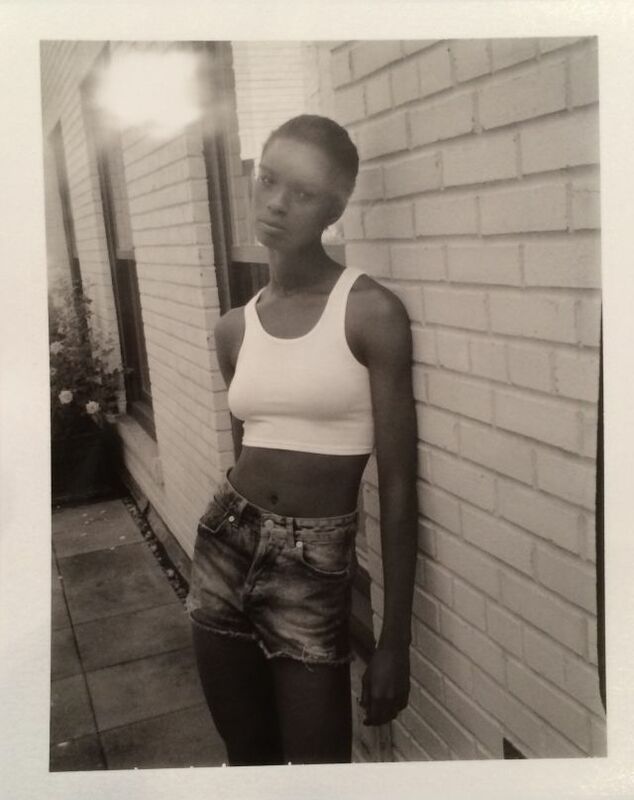 Jonny Shultz took this Polaroid of Kayla Scott, whom he scouted for Ford. It’s a story right out of a feel-good movie: two hard-working employees, having worked for years at a company they believe in, rise through the ranks and finally land at the top. But this warm, fuzzy tale played out in an unlikely spot: a Portland modeling and talent agency. Founded in 1989 by model Chris Cusicks, Q6 Model & Artist Management has been a huge part of our local fashion and acting community. Fourteen years ago, then-owner Justin Habel hired Jonny Shultz and trained him in the world of modeling booking. He worked alongside Dorianne Palmer, already a 10-year veteran at the company. Shultz developed a knack for signing new models and breaking them out to the big world, and in 2012 signed Kate Goodling, with huge names like Alexander Wang, Dior, and Balenciaga clamoring over her (read more about her rapid rise). Ford Models took note of Shultz’s eye for talent and hired him away from Q6 to scout models all over the world. He went on to bring in new talent like Kayla Scott, traveling with models to fashion shows in New York, Paris, and London. He told stories that began, “We were in Victoria Beckham's office...” But after nearly four years at Ford, he returned to Portland, and while out to lunch with his former coworkers learned his old boss Habel was looking to retire from agency life. Without a hitch, he and Dorianne Palmer—now at the agency for an impressive 24 years—decided to take the reins, buying it up as co-owners. First course of action for the fashion-heavy crew? Hire Crystal Walen, who boasts years of experience at Simon Max Hill Casting and Food Chain Films, to lead the acting division. We sat down with Shultz to talk shop on the subject he knows best: how to be a supermodel. What does launching a supermodel's career look like? If I think they could be major, you have to be really careful with their imaging. We take really good digitals and then I do one-on-one posing and walk lessons, and after we have the best photo and video, I’ll introduce them to important casting directors in New York. And from that we hope to get an exclusive, but if that doesn’t happen right away we’ll look for an agency in New York. A mother agent, which is what we are, follows with them making sure their contracts are good for them, that everything is to their best advantage. We try to make sure their agencies work well together, because you might have one diva agent who battles with the others. If it’s a high-level girl, you have to be very careful about who they shoot with. Who’s the photographer? Who’s the stylist and the other girls in the shoot? They all need to meet a certain caliber. How are Northwest models different? When I intake a model, I talk to them about how passionate are they about this. Do you want to travel? And then we talk about their best path. We have girls who want to be in Vogue and maybe that’s not your path, your path might be to go to LA and make a ton of money with your look. But at the same time, if you’re a local model and you want to stay a local model, that’s OK. It’s different for everyone. The Northwest is a place that really believes in higher education, and a lot of models here have to take a gap year to go to Europe and model. Parents can be hesitant about that, but how much money they make and the amount of experience they get out of is worth considering. Traveling the world on your own teaches you a lot about yourself, it teaches you a lot about the planet. It makes you more empathetic, it shows you more diversity, and it broadens your horizons quite a bit. You learn how to interview, how to present yourself to people. It’s a lot of life skills. It seems models are not skewing as young as they once did. It’s a few things. The buying generation wants to relate to the people they see in the clothing, and the creatives want someone on their team, someone they can talk with. For a while there was a trend of 16-year-old Russian girls, but that is over. But it’s all trend-based. One year you might see more 50-year-old models, and then it might go away. The cycle of fashion constantly changes—not only what they wear but who is wearing it. What is our local scene doing right and wrong? I love the creativity here. 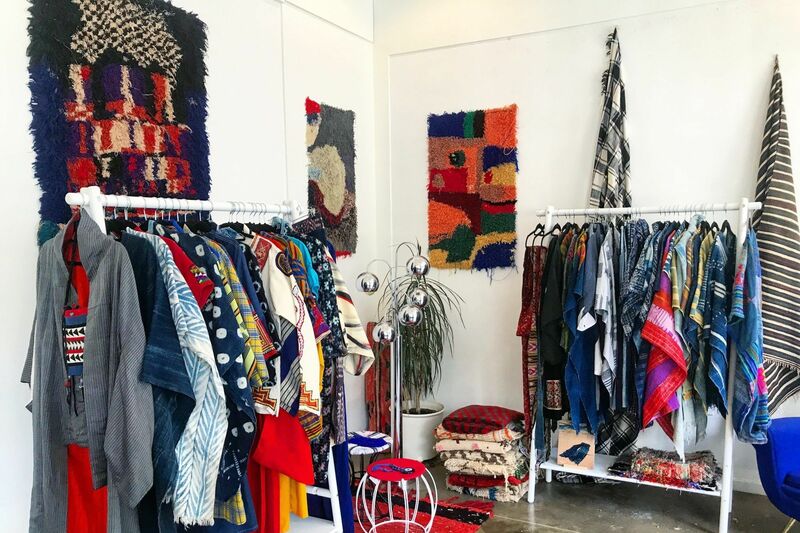 There are new designers and new photo stylists that are exploring, and you can tell it’s right before money is the important part. I love the gender neutrality that’s happening here and the diversity. All of those are positive, but how do we take that to a business level, what tools does this city need? We need the bigger clients to support the talent here and foster it. Don’t bring in out-of-state models and crews. We do open calls every single Thursday from 3:30–5 p.m. Come in, we’ll take digitals, and then sit down for an interview. What kind of grades do you get? Are you a musician? Can you skateboard? I want to get to know them. Can they handle this convo or are they too shy? I shoot the digital to see where they are in their ability. Are they slow to pick it up or do they have it innately? When they’re signed, I begin introducing you to the right people for you. That might be a local photographer or maybe casting directors. If it’s someone I think could work for Louis Vuitton, I’m going to hide them. I’m going to introduce them just to the casting director there, and hopefully they debut their career at Louis Vuitton, and then that sets their level up really high. What are some of the biggest model mistakes? On set it’s talking too much when they’re nervous. It makes people uncomfortable. And they don’t have time to listen. Be polite, listen, answer [questions], but don’t try and make conversation. And you better be dressed impeccably and you better have the right bag. You need to look like a model. It’s polished; it’s form-fitting clothing with the right shoes and the right attitude. You have to be cordial, and you have to understand that if you’re being dismissed, it’s not about you. For open calls it’s not dressing well enough. Portland is relaxed and casual, but the reality is if you want be a model, present yourself as one. So be upscale-casual, and not too much makeup. They want to see your raw talent. What’s the most common misconception about life as a model? I think people are stuck in the ’80s and ’90s mentality where models weren’t treated very well. There are some situations where models are treated badly by casting directors, but for the most part models are super smart; the most successful are very bright, they’re dynamic personalities, and they work very, very hard. Traveling alone is insane. You could be in Dubai on Wednesday, Paris on Friday, and Tokyo a week later, and you're expected to be charming and awake. It’s a very hard job and people don’t give them enough credit. These people are super fit and have very healthy lifestyles like athletes. What can people expect from the new incarnation of Q6? Where we’re taking Q6 is the same place it’s been. It’s fashion; it’s outdoors, lifestyle, it's sport. Acting always has been and always will be a very important part of Q6. What I specialize in, and what I learned from Ford working for offices in NYC, Chicago, Miami, LA, and Paris, each with a different market, is it’s about the path you create for each person. This is like a homecoming for me. I’ve seen some of these kids grow up, get married, have kids of their own. And that’s something I missed in the New York market. I missed the family feel.